Did you know that a researcher can spend up to six hours a week searching for relevant resources? That’s 312 hours a year, imagine what you could do with that time! The amount of information available online is ever-increasing — you could say we are on the brink of ‘information overload’. From a scientific perspective, I know too well how frustrating it is, scouring the internet for reputable, relevant, interesting sources of information. Researchably may be able to help. This new search tool ‘Researchably ’ was recently awarded the prestigious Catalyst Grant. Designed to provide instant access to millions of resources, within one platform, it’s goal is ‘to make it easier for researchers to find the information they need’. 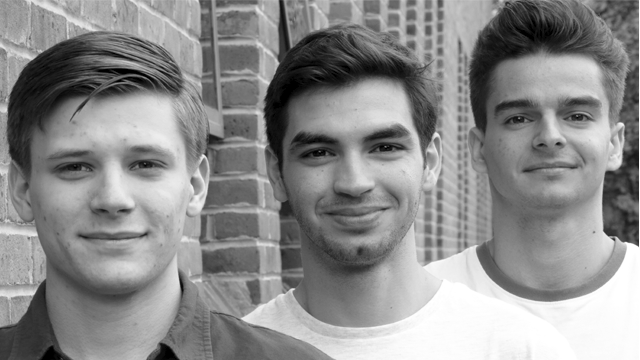 Maciej Szpakowski, Mauro Cozzi, and Przemyslaw Zientala are all co-founders of Researchably. I spoke to Mauro Cozzi to learn more about Researchably. How did you first come up with the concept of Researchably, was there something in particular that fuelled the development of the product? Maciej & I (Mauro) started working on it [Researchably] as a side project in our first year of university, and Przemek (who was in his final year) joined shortly thereafter. The three of us had experience using academic search tools for university and personal projects, and we felt that the user experience was very broken. It was mostly a hunch, but we believed that we could create not just a better interface, but a better way to surface the information researchers are after. Specifically, we wanted to create a personalized scientific search service. We’ve since done a lot of research and talked to a lot of people to validate that hunch! What would you say the main benefits of Researchably are? Right now, Researchably is a browser extension that can make existing search services more efficient through two elements: a sidebar & a library. Our sidebar makes searching on PubMed easier, for example, by giving you access to papers’ abstracts right from the results page. Our library lets you save any resource (papers, patents, website, videos, etc.) and we can then recommend other ones you might be interested in. These tools make our user's life a little bit easier and help us train the ML algorithms we need to realize our long-term vision. What does the future of Researchably look like? What would be your ultimate goal for the company? Everything we’re doing right now is centred around creating what we envision as a “digital research assistant”. The idea is that by learning from how you (the researcher) searches, what information you’ve looked at in the past, and what you’re working on at the moment: we’re able to tell you exactly what resources you should check out without you even having to search. There are many details to iron out as we work towards that — so if you’re keen on chatting with us about our ideas get in touch! Could you give us more insight into how Researchably works? There are really two core components to Researchably: the resources we work with and the personalization. On the data gathering side of things, it's still quite a manual process. We indexed 70M resources from dozens of sources, ranging from PubMed, oaDOI & arXiv for research papers, to OpenTrials for clinical trials, the USPTO for patents & tens of news websites and blogs. We’re also testing a method whereby users can tell us what sources they’re interested in so we can fetch that information for them.